Oftentimes when people hear the word lobster they immediate begin to think the creme de la creme of seafood, the granddaddy. The often flock toward toward it because they have heard that its sweet and succulent, and all of that is true, but does that mean you dont have to do anything to it all? I guess there are circumstances where you dont have to do anything, I mean if you were on a boat and grabbed the lobster out of the water, cooked it immediately, and then cracked it open, I guess then maybe you wouldn’t have to do anything at all. But I am under the firm belief that in most cases a little seasoning, no matter how creme de creme is always necessary. First up at Ed Lobster Bar in Manhattan, New York the fried pickles. Buttery and tangy sliced pickles, relatively good eating and very difficult to mess up, one of the quintessential bar foods. Second and last up the corn and lobster bisque. 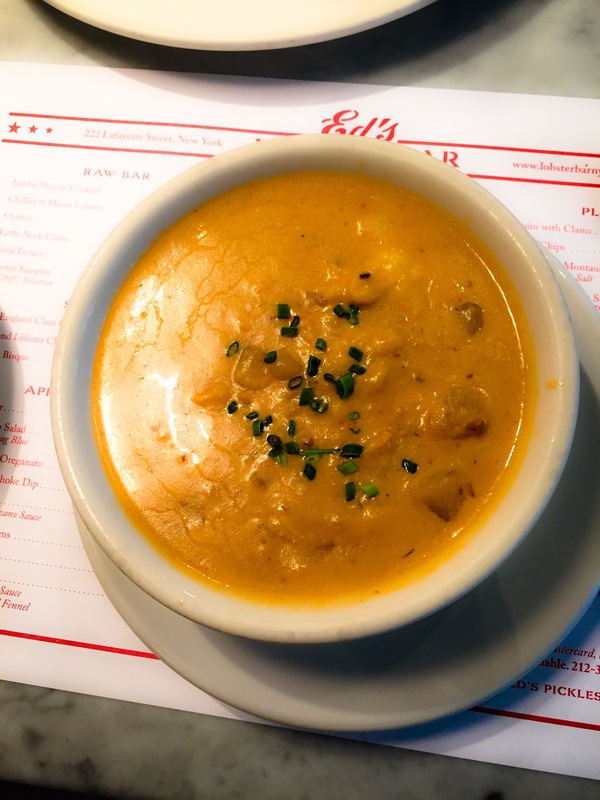 It was a nice thick texture just as bisque should be, it was hearty which is exactly what you show expect, it had admirable amount of lobster which as well it should, after all it is called corn and lobster bisque, but was the lobster sweet? Who knows, was it buttery? Honestly I have to write, no. What it was though was bland, no distinguishing flavors, no star of the show which should have been the lobster, no smiles generated after each spoonful, it was simple just a hearty bowl of soup with some stuff in there, which I guess is appropriate for a rainy day, but clearly the chef thought just because it was lobster once you put it in the pot nothing else was required, no tender loving care, just nothing. Well lobster I am not fooled by your creme de la creme lobster status, I will not let your bourgeois take me over, forcing me to think something is extraordinary when its really not, like I wrote earlier seasonings go a long way. 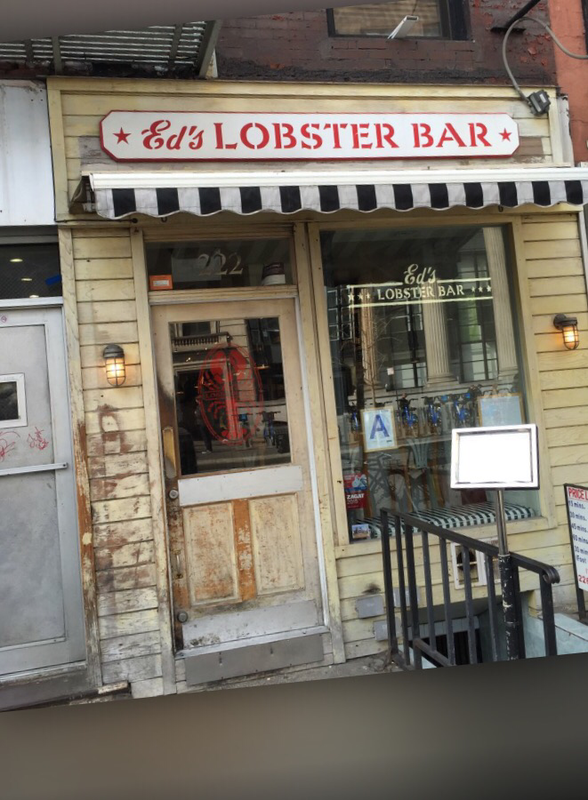 Now think on that Ed’s Lobster Bar, think on that.